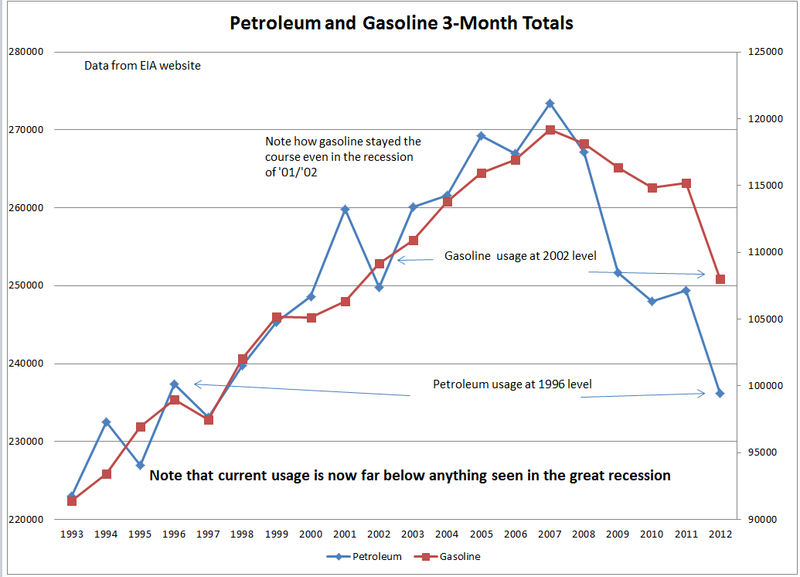 Here is an update from reader Tim Wallace on gasoline and petroleum usage for the first three months of 2012. 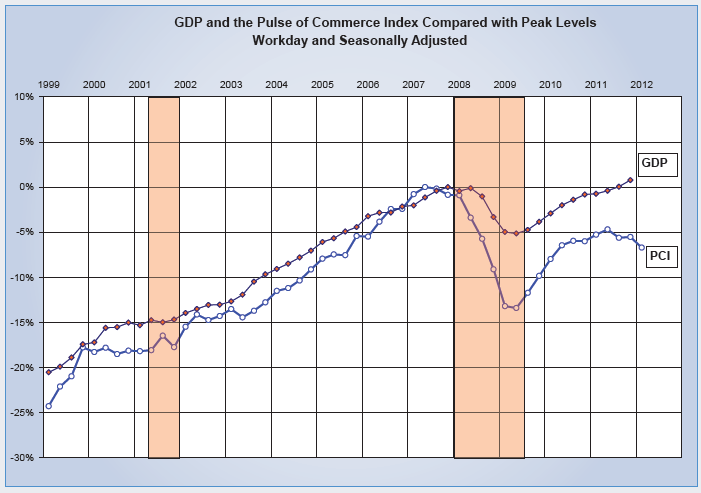 The chart shows Jan-Feb-March 2012 usage vs. the same three months in prior years. 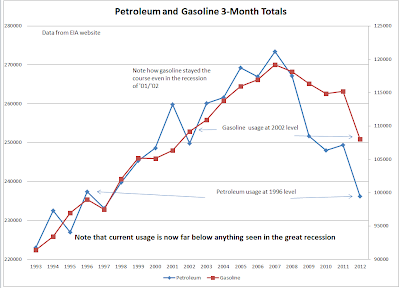 Attached please find the latest three month rolling petroleum/gasoline usage charts. The raw data that serves to create this chart is from the Weekly Petroleum Status Report by the EIA. The latest excuse from the government is that they needed to readjust the numbers to compensate for increased export demand that they had not properly tracked in the past couple of years. However, that still does not account for the overall plunge in demand usage in the past several years - going back the USA peak usage year of 2007. Usage is now down by 13.6%, a huge decrease. The overall trend continues well down in both petroleum and gasoline. Note that Ceridian real-time diesel fuel usage is back to mid-2005 levels.